Looking to live near the valley's of Southern California, but want to be up & away from it all too? Looking for a vacation home or rental? Here's your chance! 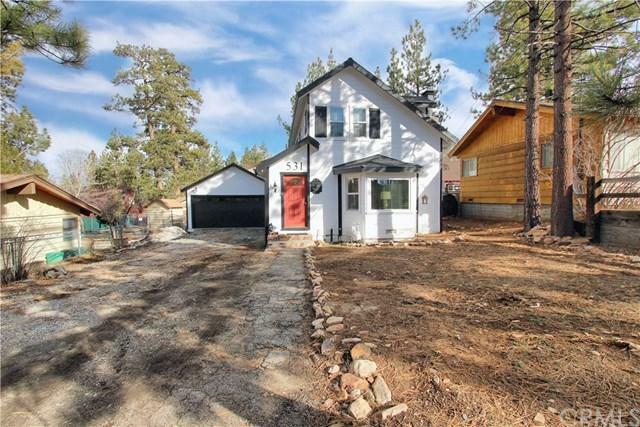 Welcome home to Waynoka Lane in Big Bear! Tucked up & away amongst the trees, lake, & wildlife, sit's this spectacular & upgraded home that radiates charm and warmth from the moment you arrive! 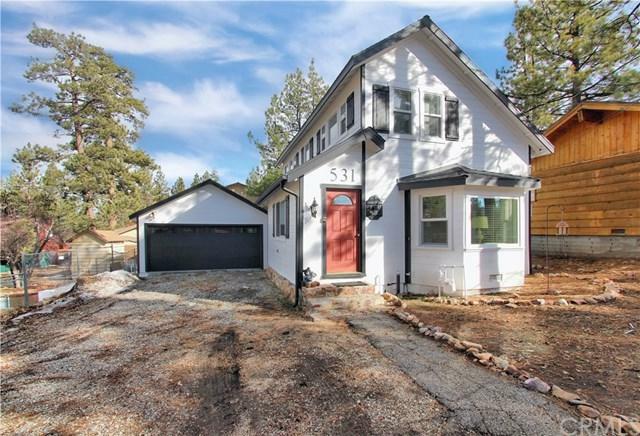 The exterior has been repainted - the white siding & black trim give this home an elegant/modern/fresh touch, while keeping the mountain charm alive & crisp! The 2-car garage has also been repainted & a new insulated garage door/opener (LiftMaster) was recently installed. As you come through the front door, you'll be greeted with the light & bright kitchen that has recently been remodeled - semi custom white cabinetry with soft-closing doors/drawers, granite composite sink, quartz counter tops, stainless steel range & large cut out looking into the living room...the list goes on! Downstairs features the living room with wood-burning fireplace & master bedroom/bathroom...bonus, downstairs laundry room with stackable washer/dryer! 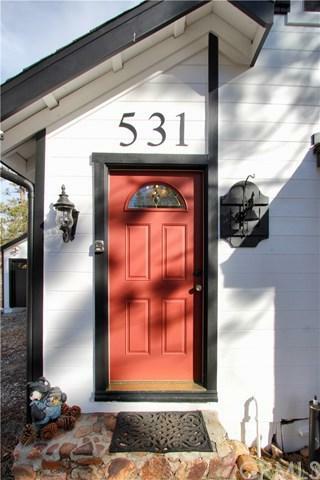 Head upstairs to find 2 more spacious bedrooms w/ vaulted ceilings & full bathroom that has been remodeled! 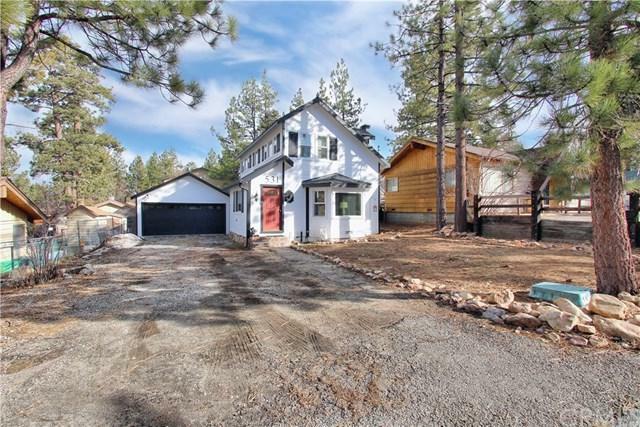 Bonus features include: close to the lake & slopes, approx. $40,000 worth of recent upgrades!...hardwood floors, dual paned windows, light fixtures, interior has also been repainted AND it comes fully furnished! YES! FULLY FURNISHED! Don't wait, this Big Bear beauty won't last long!